It’s no secret that I’m a big fan of girl time AND a sucker for pretty baubles, so when JTV Jewelry suggested a GALentine’s collaboration, I was excited. 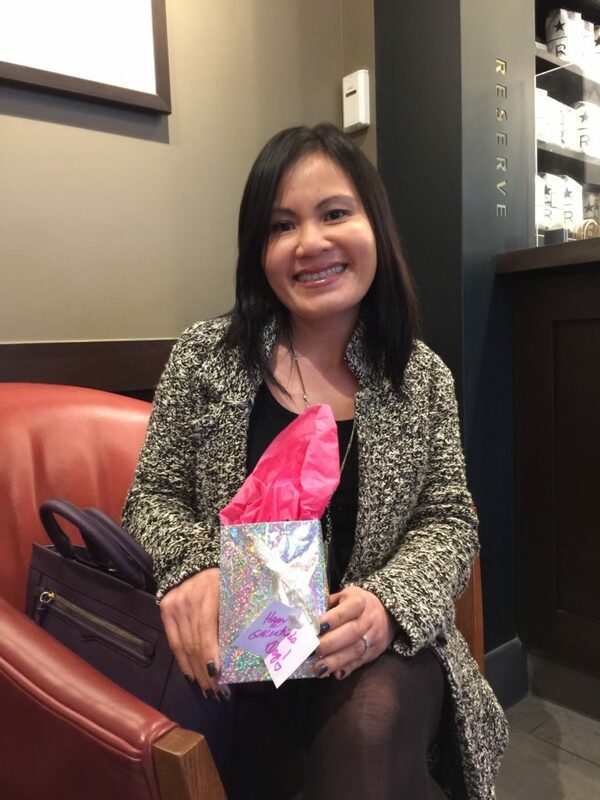 They generously let me pick out a gift for myself and my bestie, and then another stunning item to giveaway to one lucky reader! 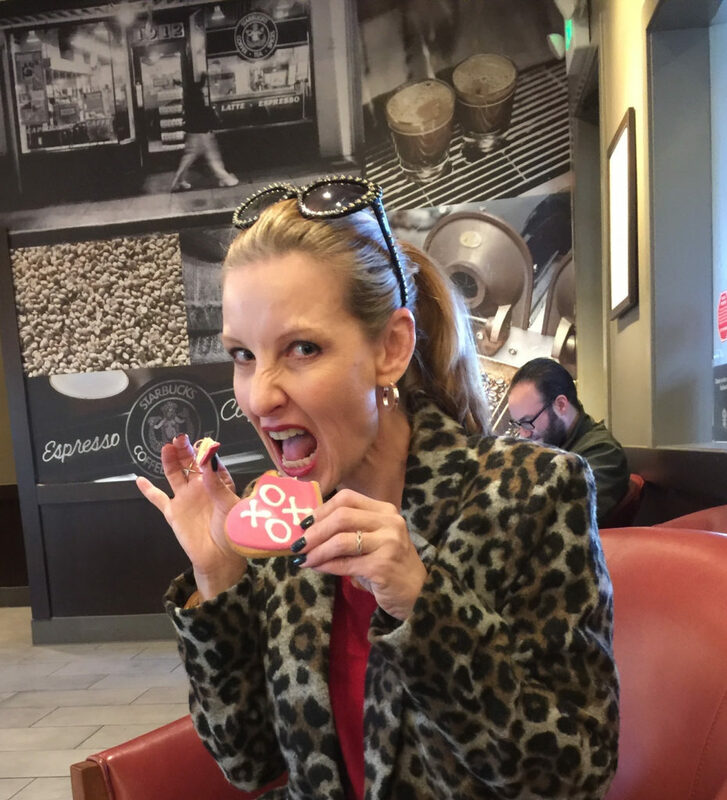 GALentine’s Day, a day to celebrate your gal pals, is officially February 13th, but Lynn and I celebrated early at our favorite Starbucks. I’m super lucky to have this fun and fashionable lady in my life! We always have so much fun together! But before we could open gifts, she had to get me to put the cookie down! 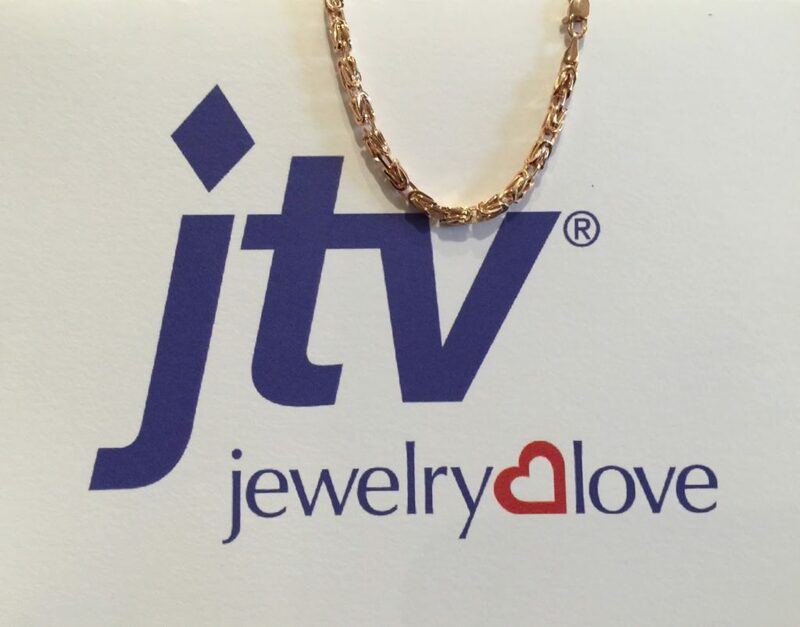 JTV has so many stylish high quality pieces to choose from! It was a difficult, but fun choice! 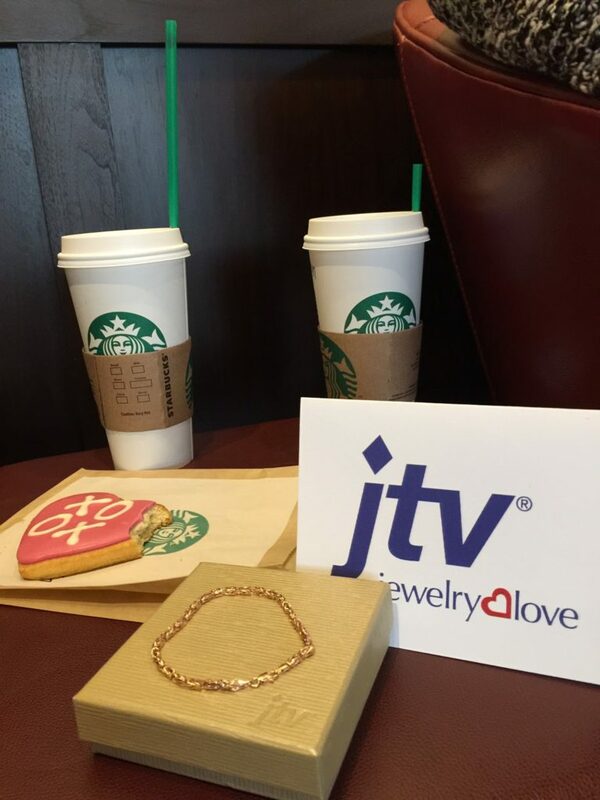 JTV sent our gifts in classy gift boxes and soft jewelry pouches. Such a nice touch! For myself, I picked out this gorgeous 14K rose gold over 14K yellow gold square Byzantine link bracelet. I’m in love with this gorgeous piece and plan to have it for years to come. For Lynn, I also picked out something I knew she would keep and cherish as well, these pretty 1.79ctw emerald cut, lab created, Bixbite sterling silver hoop earrings. I knew they would be perfect with her pink and silver watch and gorgeous pink diamond and platinum wedding band. Now for the giveaway, I decided to pick something artistic and cool. 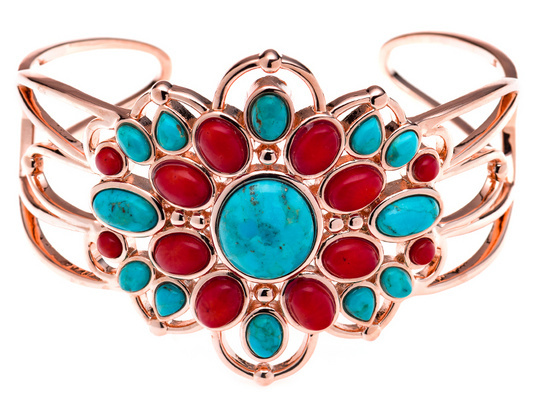 Look at this stunning statement bracelet! Upscale boho-rific! 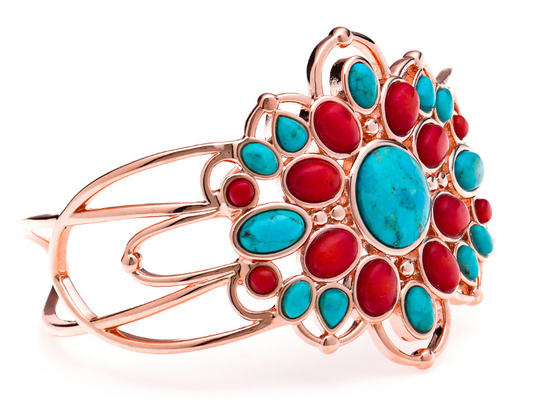 “Timna Jewelry Collection(Tm) Round,Oval And Pear Shape Cabochon Turquoise With Round And Oval Cabochon Sponge Coral Copper Cuff Bracelet. Measures Approximately 2 1/16″inches In Width. Finished Under Gallery. Open Back Cuff. This beauty can be yours! Enter now. The giveaway winner for be announced THIS Thursday (the 11th), so don’t dilly dally! ink ups: Visible Monday! Shoe and Tell! Kremb de la Kremb #iwillwearwhatilike link up! Hello Monday! Mix It Monday! How I Summer! Creative Mondays! Let It Shine! Elegance and Mommyhood! Sincerely Jenna Marie! Turning Heads Tuesday! Confident Tuesday! Bloggers Who Inspired Me! Tuesday Fashion Party On Trend Tuesday! Reasons to Dress! Upbeat Soles! Trendy Wednesday! What I Wore! The Wednesday Pants! Tucker Up! Jersey Girl Texan Heart! Pumps and Pushups! Color and Grace! Throwback Thursday! Thursday Fashion Files! Labour of Fashion! Thursday Favorite Things! Top of the World Style!Welcome to the Weekend! Passion for Fashion! Fabulous Friday! Fab Favorites! Friday Favorites! A Little Bit of Cheer! Forage Fashion! Link Party with Osy! Lifestyle Link Up! Flashback Fashion Fridays! Changing Tides! You guys are too cute! 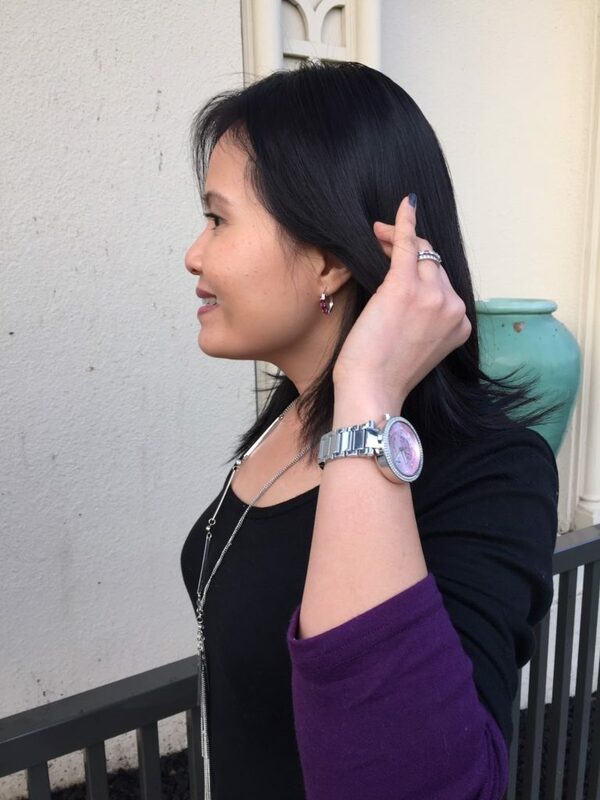 I love Lynn's earrings & your bracelet! Beautiful pieces you two,what a neat collaboration and gift idea! How fun! Love the pieces you picked out! looks like a fun time! very cool jewelry! So fun and both look so cute! Loving the leopard coat! Oh my gosh, Galentines Day is my favorite!!!! That looks like a super fun way to celebrate it! Your choices were fabulous. Thank you for adding your post to my Powers the Flower link up. There is a new one publishing tomorrow. 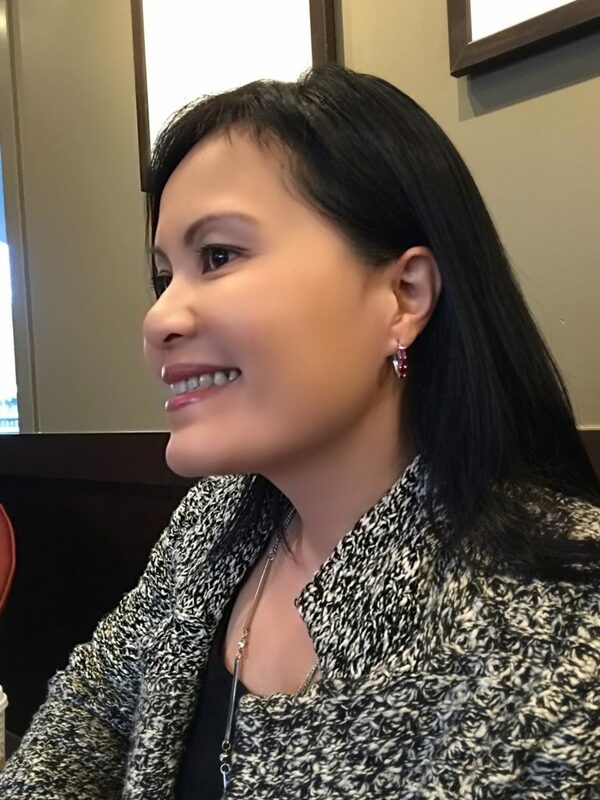 I hope you will stop by and add link to it too. Thanks for linking up to Top of the World Style. Great picks and their stuff is really awesome! Thanks for introducing them to us! So nice to have another teacher friend. I needed support for some of the schools in which I taught. You both look lovely and the jewelry is sharp! Hope you and Hubby had a nice Vday!